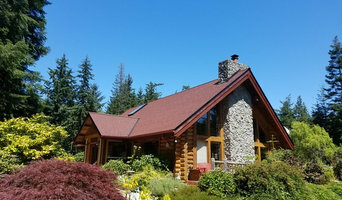 Spectrum Construction Incorporated are custom home builders on Whidbey Island. We have worked with integrity and fairness over the years to have become builders of beautiful, exciting custom homes and major remodels. Empire One Renovations are your trusted interior remodel & renovation specialists for the Lower Mainland. From a small upgrade to a full house renovation, from a small repair to a big rebuild, we are your one stop renovation company that has it all. 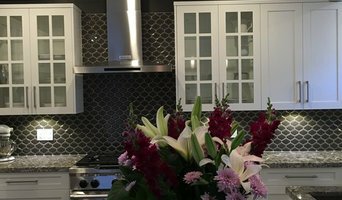 We offer consultations, job managing, trade selections, site protections, designs and rearrangements, custom kitchen and bathrooms, drawings and permit assists, materials sourcing, floor coverings, mouldings, cabinets and millworks, tile setting and countertop, drywall finishings and painting, hazardous material removal and assessments, professional cleaning and garbage disposal. All of our services are done by professionals and partners, we have lots of experience in both commercial and residential projects. Empire One Renovations will always deliver the most comfortable customer service and the best finishes that meet your budget. Christensen Construction is dedicated to providing reliable service and quality workmanship for our clients’ home renovation or tenant improvement. We believe in building relationships within our community by using local suppliers and contractors from the Fraser Valley. Our team will create a positive and respectful work environment to establish lasting relationships with our customers. Interactive Management Group is a well-recognized construction resource in Cowichan Valley and Nanaimo on Vancouver Island. The firm specializes in coordinating teams of professionals who take renovations and expansions from conception through to completion. The majority of the projects undertaken by IMG are managed by owners, resulting in a high level of commitment towards completing projects on time and within the budget. 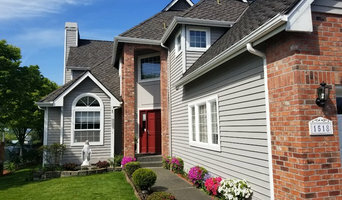 CLARUS CONSTRUCTION SPECIALIZES IN MAKING CUSTOM HOMES They work with a very diversified team of established tradesmen/companies within our community. The team at Clarus Construction pays great attention to detail and quality of workmanship. 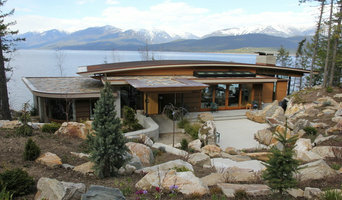 They strive to provide a stress free experience from design to build. Their Work is guaranteed and also back by Pacific Home Warranty. We are a small, family owned local General Contractor with 45+ years experience within the construction industry. Whether it's new construction or renovations, we can do it all. From decks, to additions, remodels, seismic upgrades, new custom homes, and everything in between; we will successfully complete your project. Our work is top notch, check out our reviews on Angie's List. We have an A rating with the Better Business Bureau, and we are licensed, bonded and insured. At Ignite Construction, we have one goal: Make Imagination a Reality. Building with professional knowledge, planning and experience. Crafted quality materials, installed with care and leading equipment. Our dedicated team of Certified Engineers, Licensed Home Builders, Project Managers, and Tradesmen will work diligently, crafting your project into reality. Design & build to fit your custom tailored Requirements and Imagination We plan, we analyze and we are dedicated. Committed to structured planning, controlled development and dedicated partnerships. The plan is executed with management experience, elite industry capabilities and structured overviews. Please view our website for an extensive display of our projects.